The Purana-texts are full of innumerable myths and legends. The study of Puranic legends is not only interesting but also amply rewarding. For study of any Puranic myth or legend the original text must have to be critically edited. Since all the Purana-texts are not yet critically edited, one has to be very careful and cautious while dealing with the Puranic legends. Otherwise one may not be in a position to understand and appreciate them properly. This work presents a critical analysis of some important Puranic legends. Dr. Siddheswar Jena is, at present, working as the Head of the Deptt. of Sai1skrit at N.C. Autonomous College, Jajpur. His outstanding contribution to the field of Puranic study is ‘Narasimha Purana-A Study’ and ‘English Translation of Narasimha Purana’ published in the year 1987. His monograph titled ‘Textual Correlation of Narasimha Purana with other Puranas and Sanskrit Texts’ published in 1997 shows the textual borrowing of the Narasimha Purana from divergent sources. The present work contains a thorough critical study of some Puranic legends. Innumerable myths and legends are found scattered over the Purana literature. The Purana literature is vast and -it abounds in a good deal of ancient myths and legends. In the oldest Puranas like the Vayu and Brahmanda, the myths seem to have a small beginning and as such they are brief and incomplete to a great extent, but in the later versions they have been expanded by the I Puranakara and have attained their final shape. The study of these legends in the Purana texts clearly shows that the legends initially very short, are developed in a gradual manner in the later texts till they appear in full-fledged form in the latest major and minor Puranas. Another remarkable feature that we observe in case of Puranic legends is that a particular legend is utilised by the followers of different faiths, creeds and cults to serve their own interest and purpose. As a result, the same story is noticed to have different tinges, of course with certain modifications depending upon the religious outlook of the redactor. We are aware that the most popular Rama story takes a different turn in the Jaina literature and as noted in the Jaina Rdmtiyana by Hemacandra, Ravana is pictured as a great and mighty ascetic. In the Prakrit Epic Paumacariya (Padma-caritay) consisting of 118 cantos, the earliest adaptation of the Rama story by Vimala Suri, the story of Rama is narrated, so as to fit in with the Jinistic tradition. Though there are different stories in this Epic as regards the birth of sita, bending of the bow and her marriage with Rama, finally Rama or Padma is described as attaining to perfect knowledge and entering nirvana. In the Harivamsa Purana of Jinasena, the earliest Jaina adaptation of the Mahabharata story, the legends of Krsna and Balarama are also told in a Jinistic setting; the Kauarvas including Karna are converted to Jaina religion; and the Pandavas taking up asceticism finally attain to nirvana. 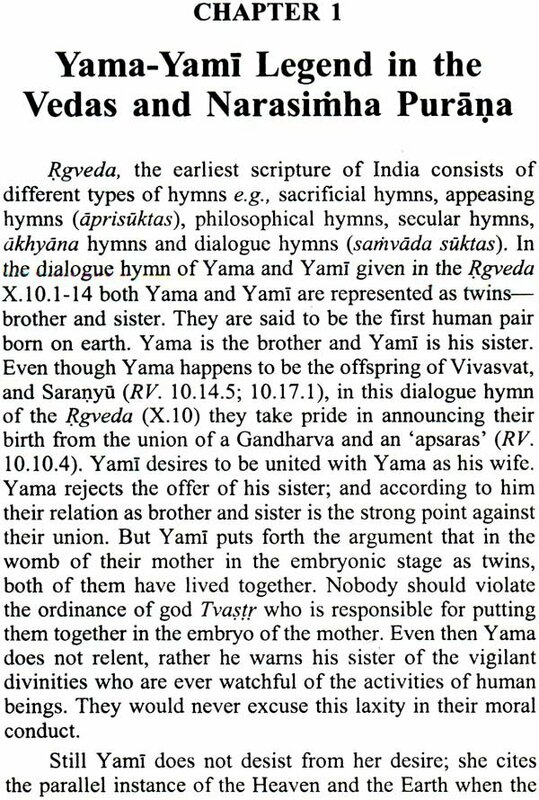 In the same way so far as the Puranic legends are concerned, the Markandeya myth is used by the Visnuites as well as the Sivaites. The Visnuites depict the story of Markandeya in order to glorify their supreme deity Visnu while the Sivaites make use of it to assert the supremacy of Lord Siva. The Hiranyakasipu-Prahlada legend has been dealt with differently by both the Visnuites and Sivaites in order to show the greatness of their respective cults. Generally speaking Purana is an anonymous literature. The authorship of any Sanskrit Purana has been ascribed to Vyasa be it a major or a minor Purana. 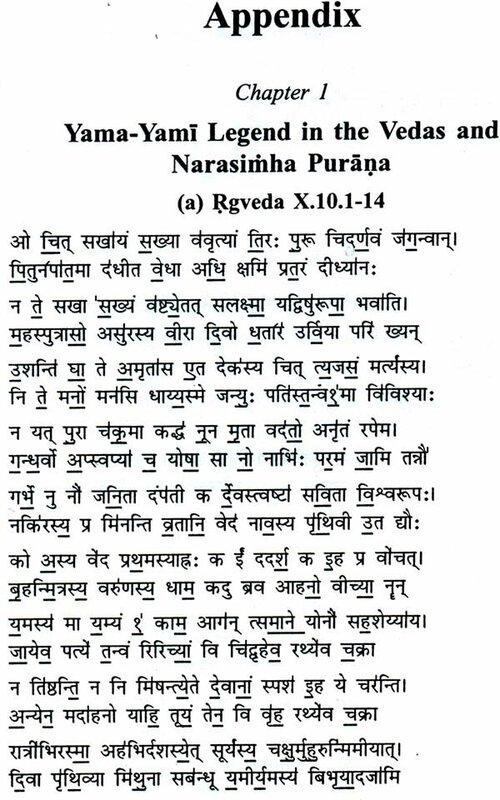 And the two great scholars of Purana literature Pargiter and Kirfel have clearly proved how so many redactors have worked on the same Purana text before it comes to its present existing shape. In such a situation when the same story is altered and modified by the followers of two or three different cults, sometimes it becomes very difficult to ascertain who creates the story first and who borrows it later. In this confused state only one’s critical insight developed through one’s wide reading of the Purana literature, comes to rescue. Also one has to depend upon the history and growth of three major ancient Indian cults namely Visnuism, Sivaism and Saktism so as to solve these intricate Puranic problems. Since the publication of Narasimha Purana : A Study in the year 1987, I got interested in the Puranic legends. The present work is a study of six Puranic legends, some of which have come out in the different Indian journals and Felicitation volumes. Of the six stories critically analysed here three stories namely, Yama-Yami, Pativrata-Brahmacarin and Hiranyakasipu-Prahlada are found out in the Narasimha Purana and the rest three are from other Puranas. First of all, Yama-Yami (Ch. 12) and Pativrata-Brahmacarin (Ch.l3) invited my attention while I was working on a thorough critical study of the Narasimha Purana. The traditional Man-lion or Hiranyakasipu-Prahlada legend is extensively treated in the Narasimha Purtina Chs. 40-44, but since Dr. A.C. Swain, Former Professor and Head of the Department of Sanskrit, Utkal University, Bhubaneswar has made a deeper critical study of this myth as available in the Visnuite Puranas, my study of this legend is solely confined to the Sivaite texts. While going through “From manast srsti to maithunl srsti” one can very well realise how the Upanisadic concept of the division of the creator’s body into male and female ultimately leads to the Puranic story of Satarupa and Manu Svayambhuva.